Ask any patient what qualities they desire in a physician, and empathy will almost always make the list. A physician’s ability to demonstrate empathy has been shown to significantly impact patient outcomes1, increase patient satisfaction2, and raise physician “compassion satisfaction,” which may hinder burnout (3). Though much debate surrounds empathy’s teachability, learning how and when to make empathetic statements is a crucial aspect of physician training. 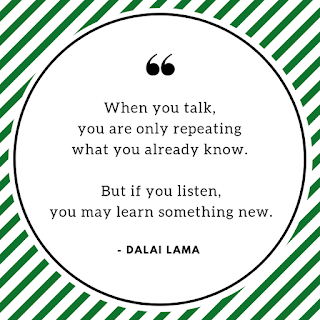 Many of us struggle with finding the right thing to say, but a recent open access study published in JAMA Network Open shows there may be more power in pauses made after empathetic statements than in the words themselves. The study recorded 68 pediatric intensive care unit conferences over four years. Transcripts of every meeting were made, and empathetic statements were noted using the infamous NURSE criteria (naming, understanding, respecting, supporting, exploring). “Missed opportunities” to express empathy were noted as well. Empathetic statements were placed into two categories, “buried” and “unburied.” A buried statement was one in which the physician expressed empathy, but did not allow time for the family to respond. This most commonly occurred with the physician immediately segueing into clinical jargon, but was also counted as buried if another member of the team interrupted, or if the physician finished the statement with a closed-ended question. Transcript analysis showed that physicians are fairly good at identifying when to express empathy, taking advantage of 74% of the opportunities analyzers identified. However, almost 40% of these statements were buried, and “medical talk” accounted for the vast majority of buried statements (95%). Interestingly, non-physician team members (typically a social worker or nurse) spoke only 5% of the time, but when they offered empathy, they did so unburied 87% of the time, further demonstrating the importance of a multi-disciplinary team in fully supporting patients and their families. Physicians have a wealth of medical knowledge to share, but timing is paramount, and tacking jargon onto the end of a well-intentioned empathetic statement may prevent patients and families from even recognizing the empathetic effort at all. In October’s study, when physicians made unburied empathetic statements, families were 18 times more likely to respond with additional information, to express their fears, and to discuss their goals. Clear communication is an obvious cornerstone of the physician-family relationship, and while buried empathetic statements may be better than no expressions of empathy at all, they may leave families with a feeling of being unheard and ignored. Though a busy clinician may not feel they have the time to open the Pandora’s box of family concerns and fears, investing time in “a pause” may pay dividends for all parties involved. For physicians, better communication skills have been shown to decrease instances of burnout, lower rates malpractice suits, and raise patient satisfaction scores4. Meanwhile, the family leaves these conversations feeling heard and understood, and the patient receives care tailored to them, with every fear, concern, and hope kept in mind. If, as cellist Yo-Yo Ma would assert, “music happens between the notes,” perhaps the heart of medicine lives in the pause. 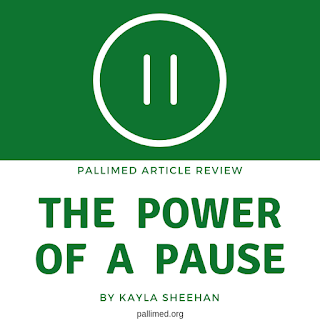 More Pallimed posts from Kayla Sheehan can be found here. More journal article reviews can be found here. 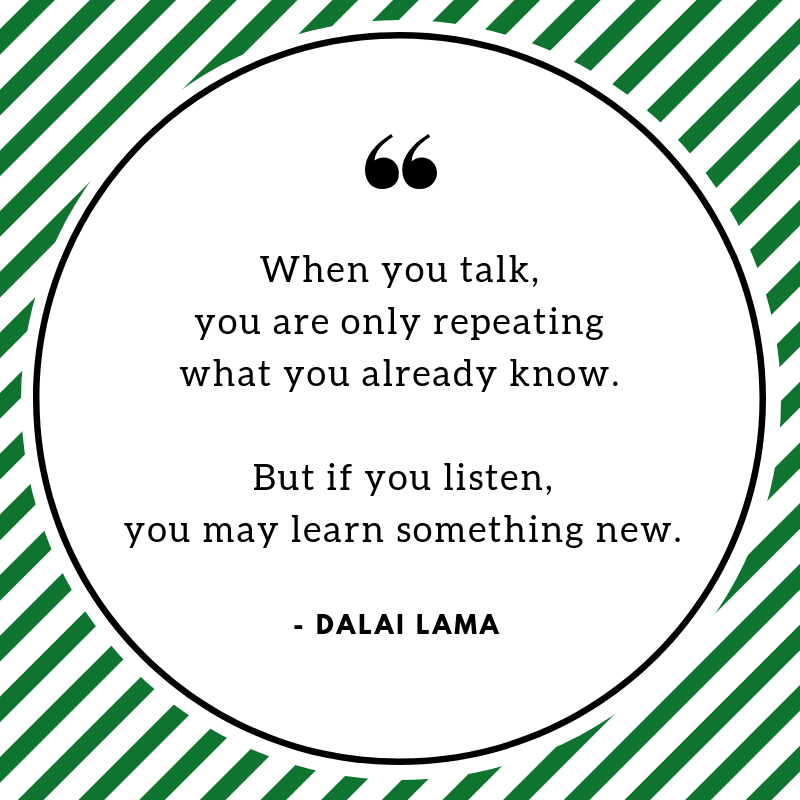 More posts on communication can be found here. Kayla Sheehan is a third-year medical student at California Northstate University. She enjoys singing, sharp cheddar, and long walks with her Australian Shepherd, Posey. 1) Kim SS, Kaplowitz S, Johnston MV. The effects of physician empathy on patient satisfaction and compliance. Eval Health Prof. 2004 Sep;27(3):237-51. PubMed PMID: 15312283.